Richard Houston (second from left) Manager at Waveney Memorial Park & Crematorium is pictured presenting a cheque for £5,000 to members of the Halesworth Men’s Shed on Thu 21st Nov 18. 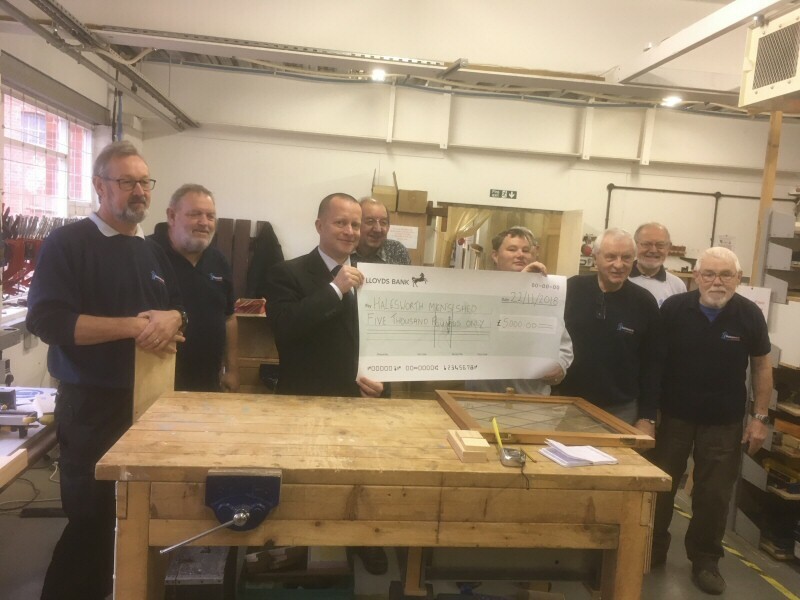 Waveney Memorial Park and Crematorium, based in Ellough near Beccles, have presented local charity, Halesworth Men’s Shed, with a cheque for £5000 to be used to support men in Suffolk possible struggling after the death of a special person in their life. 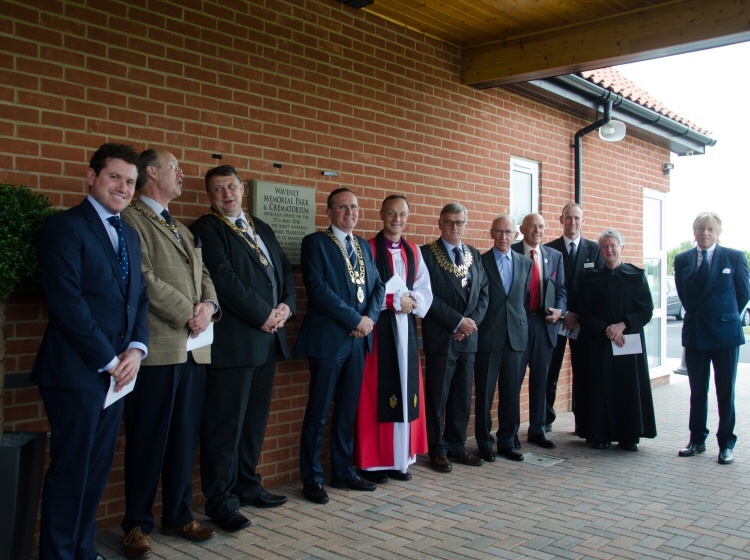 The donation has been raised through a charitable scheme, operated by the Institute of Cemetery and Crematorium Management (ICCM), of which Waveney Memorial Park and Crematorium is a member. Under the scheme metal from medical implants is recycled after cremation, with the consent of the family of the deceased. Twice a year the institute asks its members to nominate local charities, which help to support people to cope with the death of loved ones, to receive a donation. Richard Houston, Manager of Waveney Memorial Park and Crematorium presents a cheque for £5000 to Tony Rainbird and fellow shedders of Beccles Men’s Shed. 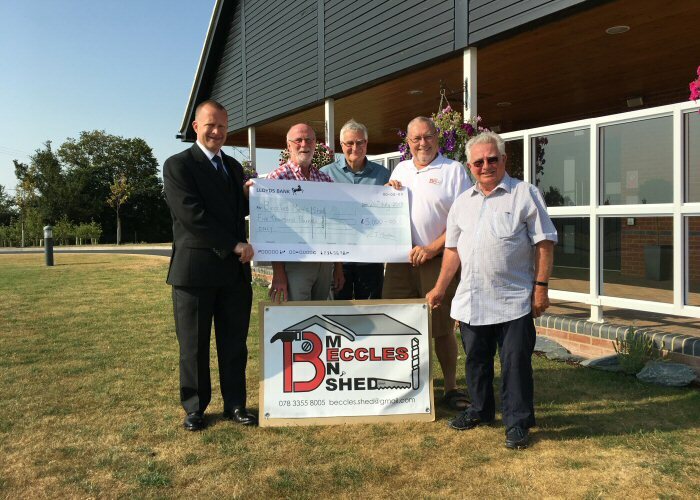 Waveney Memorial Park and Crematorium, based in Ellough near Beccles, have presented local charity, Beccles Men’s Shed, with a cheque for £5000 to be used to support men in Suffolk possible struggling after the death of a special person in their life. This is the first donation that the Memorial Park has given the Beccles Men’s Shed. Men’s Sheds (or Sheds) are similar to garden sheds – a place to pursue practical interests at leisure, to practice skills and enjoy making and mending. The difference is that garden sheds and their activities are often solitary in nature while Men’s Sheds are the opposite. They’re about social connections and friendship building, sharing skills and knowledge, and of course a lot of laughter. Sheds are about meeting like-minded people and having someone to share your worries with. They are about having fun, sharing skills and knowledge with like-minded people and gaining a renewed sense of purpose and belonging. As a by-product of all of that they reduce isolation and feelings of loneliness particular during bereavement, they allow men to deal with mental health challenges more easily and remain independent, they rebuild communities and in many cases, they save men’s lives. Waveney Memorial Park & Crematorium Manager, Richard Houston said: ‘We are pleased to be able to support the work that the Beccles Men’s Shed aim to do at such an early stage of them setting up in this area. Beccles Men’s Shed Chairman, Tony Rainbird said: ‘At Beccles Men’s Shed our primary purpose is to support the mental and physical well-being of men in the Beccles area. Holding our first meeting on 30th August 2017 and regularly have an attendance of 16 men. The group is open to anyone over the age of 18, whether they are able-bodied or have a disability, although our focus could be men recently retired, made redundant or bereaved all of which can lead to depression without the right support. Men are known to be very bad at making friends and talking about themselves, particularly their feelings. Within a Shed environment, working with other men, having a laugh and joke, these barriers can be broken down, balancing their mental health well-being. Working with local health providers and social partners we are currently supporting several men suffering social-isolation and depression following bereavement. In November 2017 we moved to a temporary home, a stable block in the Hulver area and together with the very generous donations of used tools by the people of Beccles enables us to offer wood working, wood turning and wood carving. We urgently need to move to a long-term home in Beccles making us more accessible to our members and those wishing to join. 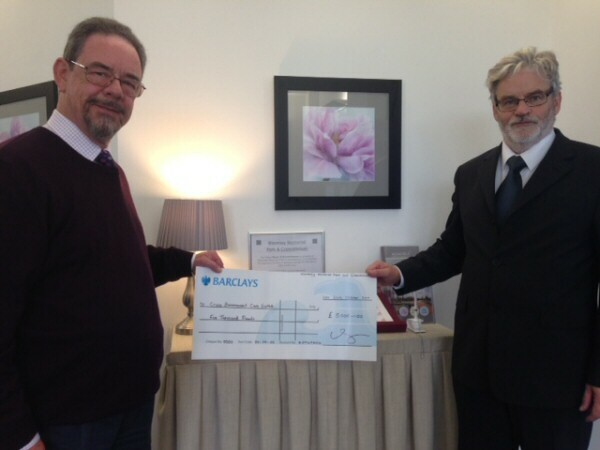 This extremely generous donation by Beccles Crematorium will help us in finding a new home’. Come and meet all types of industry professionals, break down the taboos and take the fear and mystery out of death and what happens surrounding a funeral. Are there questions around death and the funeral industry that you have been dying to ask someone? 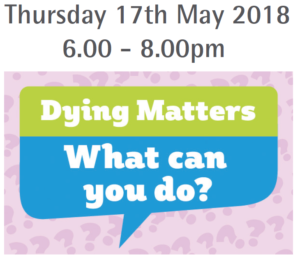 As part of the Dying Matters Awareness week (14th – 20th of May 2018), Waveney Memorial Park and Crematorium (Warren’s Lane, Benacre Road, Ellough, Suffolk, NR34 7XE) are hosting a drop in community awareness event on Thursday 17th May from 6 to 8pm, providing information and the chance for people to ask questions and talk openly. Through this free and open to the public event, you will be able to find out about the various options available and considerations to bear in mind. There will be suggestions of personal touches that families can arrange themselves to create a unique funeral service. Industry experts will be on hand to answer any questions you may have and will include funeral directors, funeral service leaders such as civil celebrants, bereavement counsellors, experts in cremation, traditional and natural burials, palliative care organisations and representatives from local solicitors and bereavement support groups. There will also be lots of information available from other industry related organisations that can help people think about what they would like for their own funeral. This is not a sales event; there will be space for informal discussions for anyone who just wants to start the conversation and think about their own wishes. For more information about the event please download this flyer or call 01502 477200. 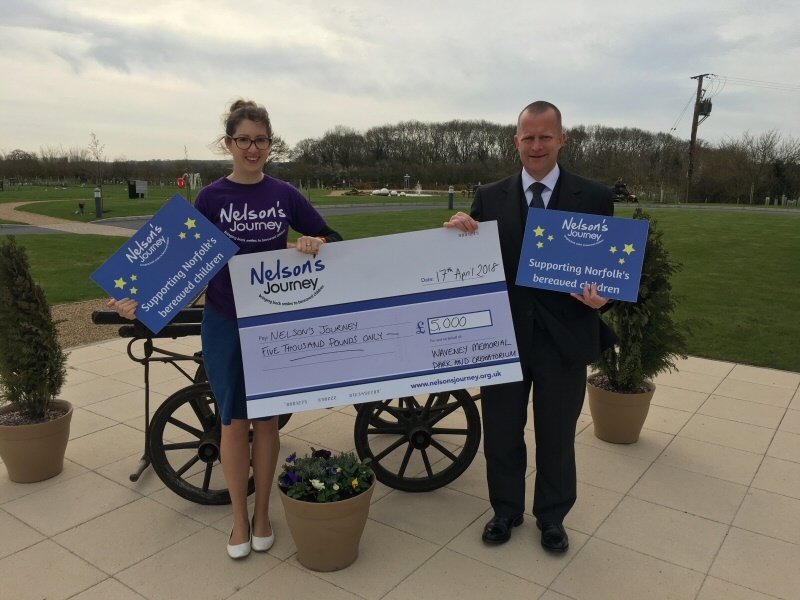 Waveney Memorial Park and Crematorium, based in Ellough near Beccles, have presented local child bereavement charity, Nelson’s Journey, with a cheque for £5000 to be used to support children in Norfolk struggling after the death of a special person in their life. 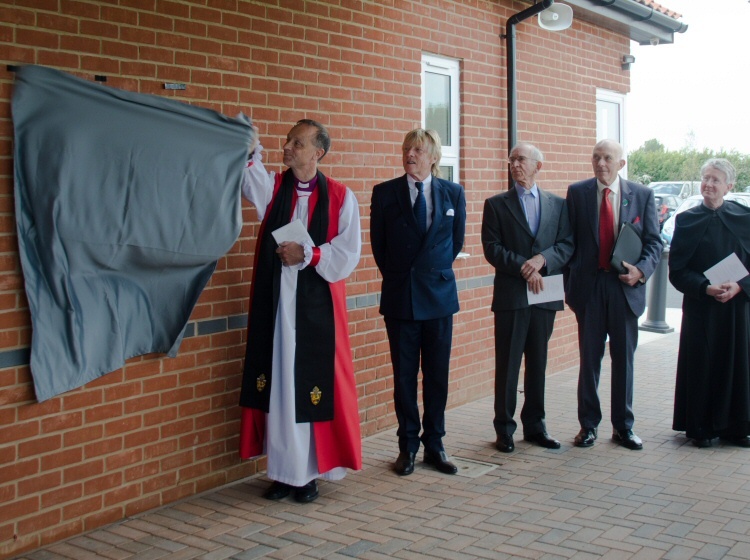 The donation has been raised through a charitable scheme, operated by the Institute of Cemetery and Crematorium Management (ICCM), of which Waveney Crematorium is a member. Under the scheme metal from medical implants is recycled after cremation, with the consent of the family of the deceased. Twice a year the institute asks its members to nominate local charities, which help to support people to cope with the death of loved ones, to receive a donation. This is the third donation that the Memorial Park has given to Nelson’s Journey, with over £14,000 having been donated to the charity since 2016. Nelson’s Journey was founded in 1997 and celebrated its 20th anniversary in 2017. Since its launch the charity has recorded a significant rise in the number of children referred to them after the death of someone special. During 2017, Nelson’s Journey received 952 referrals and anticipates that the demand on their services will continue to grow. Gena Moore, Corporate Marketing and Funding Officer for Nelson’s Journey said, ‘We are so grateful for the support of Waveney Memorial Park and Crematorium through it’s charitable scheme. To be the recipient of such a huge amount of money will go a long way in the help and support we can provide to children and young people in Norfolk who are dealing with the death of an important person in their life. Nelson’s Journey aims to improve the emotional wellbeing of bereaved children by: increasing their confidence and self belief, providing education about the causes of death, enabling families to talk openly about their bereavement. We also provide opportunities to remember those who have died and help children to express and understand their emotions. Nelson’s Journey endeavours to ‘Bring back smiles to bereaved children’. Suffolk Cruse has received a donation of £5,000 from Waveney Memorial Park & Crematorium at Ellough Nr Beccles. Suffolk Cruse is part of Cruse Bereavement Care, which was set up in 1959 to promote the wellbeing of bereaved people. Suffolk Cruse became an Area in 2009. Their aims and objectives are to enable anyone bereaved by death to understand their grief and to cope with their loss. They also offer information, advice, education and training services. Martin Sherry, manager at the park chose this year to donate a cheque for £5,000 to Suffolk Cruse as Memoria recognises the fantastic work that this organisation carries out in the local community. Martin said it was a great privilege to be able to support the charity as this money will make a real difference to so many people, not only today but also in the years ahead. There are four branches within Suffolk, one in Ipswich, Suffolk Coastal, West Suffolk and North Suffolk & Great Yarmouth. Each branch has a telephone line that is operated by volunteers to take initial calls from the bereaved. Following this assessment telephone support and/or one to one support is offered. Their services are free to clients and available no matter how or when their loved one died. These services include one to one support, facilitated groups, telephone support and email support, giving advice, information, and help and providing education on bereavement to other agencies. The beneficiaries of their organisation were 518 bereaved people who received one to one support last year throughout Suffolk by our volunteers (year ending 31st March 2017). During the last year Suffolk Cruse received nearly 1200 enquiries from people seeking advice, information, help and support to help themselves or their loved ones cope with bereavement., Of these, Suffolk Cruse has over 60 volunteers who gave nearly 12,000 hours of their time to help support the bereaved. Their volunteers are highly trained and also are subject to enhanced DBS checks. They also have a specially trained service for Children & Young People that is based in Ipswich. Waveney Memorial Park & Crematorium are delighted to announce that after our recent nomination for a National Award as the ‘Best Crematorium in the UK’ we have just had news to inform us we have been shortlisted as a finalist into the elite few in this category. The Awards are held annually by the Good Funeral Guide and are recognised as the flagship awards ceremony in our industry. We are naturally very excited and truly humbled to be receiving a nomination for the awards which are largely made by members of the public. 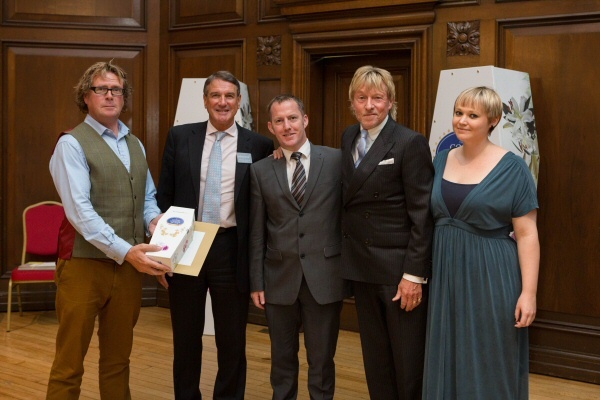 These awards are seen by many as the ‘Oscars of the Funeral Trade’ and this year the awards will be held at a glittering lunchtime ceremony in central London on 7th September. 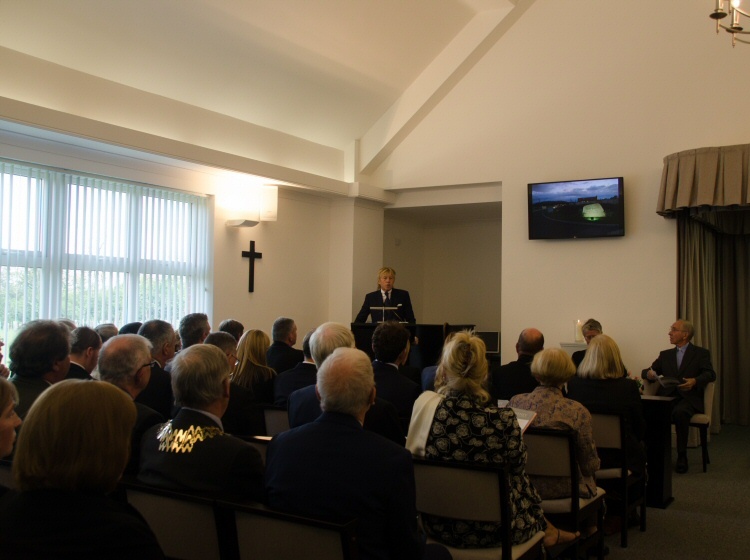 The Good Funeral Guide said: “Since 2012 we’ve been recognising the great work of the country’s best gravediggers, embalmers and funeral directors. The awards ceremony is a bridge between the general public and the much-misunderstood funeral industry. We’ve championed the entrepreneurs, pioneers and progressives. Our winners have gone on to make media appearances and dispel some of the myths around what happens when we die. We listen to the general public and get their views on the standard of customer service. We collate their views, offer them to the judges for verification, and then draw up a list of nominees. Winning a Good Funeral Award is a sign that the public can come to you and enjoy the high-quality service they deserve”. The Award nomination comes as one of many received in multiple categories by Memoria and demonstrates the recognition of our ethos of providing exceptional standards of service and facility to the bereaved families. Memoria CEO Howard Hodgson said: “We are delighted to receive this nomination in one of the most prestigious awards within the industry. At Memoria, we always judge our success by the levels of our client’s satisfaction rather than by our levels of profit because we firmly believe the first leads to the second. 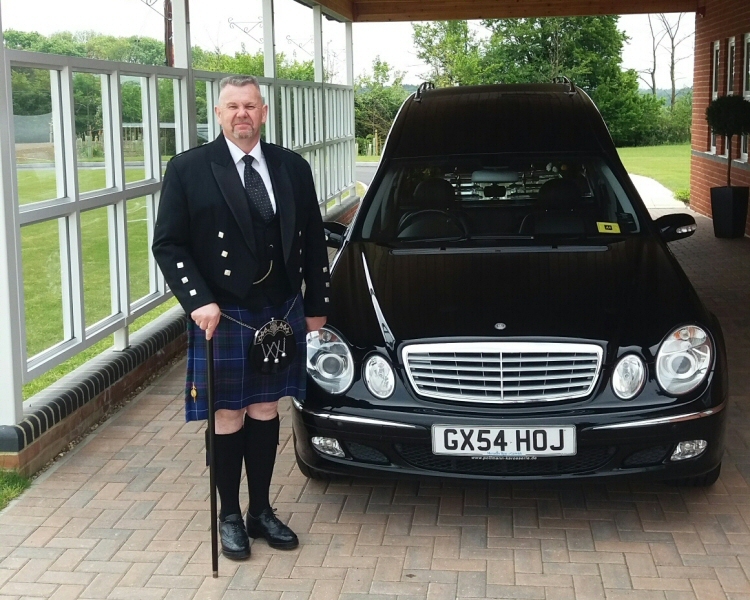 Therefore, to be nominated as the ‘Best Crematorium in the UK’ is testament not only to the hard work of our dedicated staff but also to the opinion of our clients who really appreciate the professional people we have working for us and recognise that our teams strive to offer exceptional service to bereaved families at the time they need it most”. 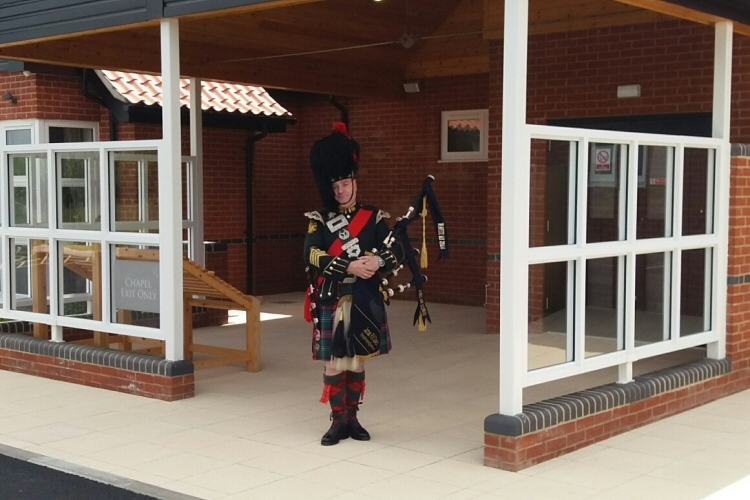 Waveney Memorial Park & Crematorium hosted a Scottish piper to play during a service today; the distinct sound of the bagpipes echoed across the whole of the memorial park, it was wonderful. 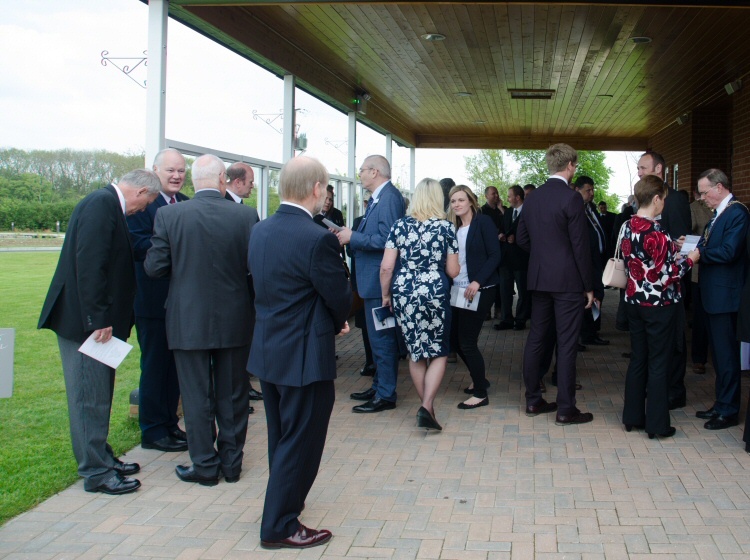 Thank you to all that attended the Waveney Memorial Park and Crematorium Official Opening, which was a lovely day and very well supported. 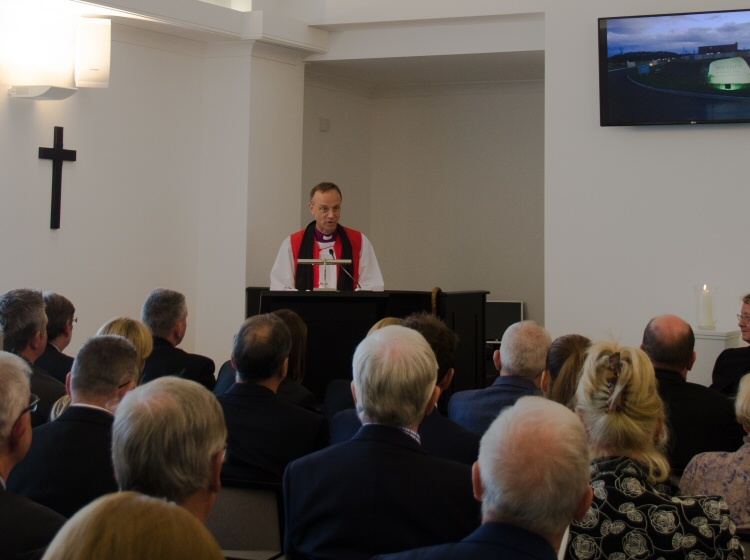 I would also like to say a big thank you to The Right Reverend Dr Mike Harrison Bishop of Dunwich for the consecration of the chapel and grounds, and Father Martin Gowman (RC), Rev. John Sigsworth (Methodist) and Mr John Wilkinson (Humanist) for being part of the multi faith service. Mothering Sunday Service, Sunday 31st March 2019. Open Day, Sunday 9th June 2019. Father's Day Service, Sunday 16th June 2019. Christmas Memorial Service, Sunday 8th December 2019. 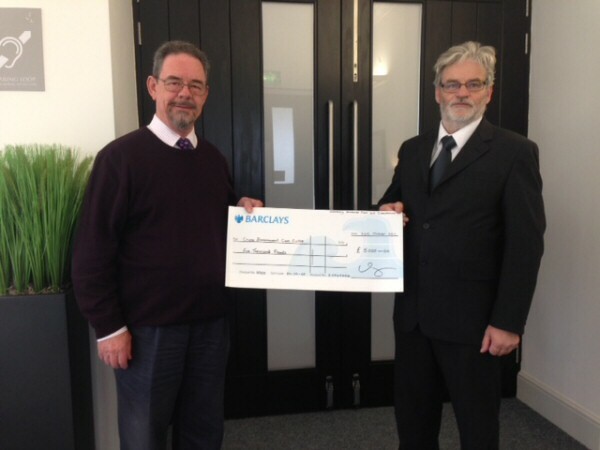 Waveney Memorial has, to date, donated over £14,000 to our nominated charity, Nelson’s Journey. Waveney Memorial donated £5,000 to Suffolk Cruse, a charity that promotes the wellbeing of bereaved people.